A Lower Mainland MLA’s bold idea of building a new world-class mountain resort in BC, with a massive carved mountain monument as its feature attraction, would increase tourism in areas of the province that need an economic boost. In his published list of 65 policy points, Laurie Throness, the BC Liberals’ MLA for the riding of Chilliwack-Hope, wants his party’s next leader to consider the attraction with an open mind. In an interview with Daily Hive, Throness said the project would be determined by a proposals process, a business case, and public consultations, but he said it would likely be located away from Vancouver – in the interior or northern regions, where wildfires have destroyed logging and ranching areas. “As an example, I suggest a pair of upraised hands cupped together onto which tour buses could drive on. It would be that large. And those hands would be an art form, a work of art, and interpreted by the observer according to whatever their context was,” said Throness. Throness says the monument would be visible from kilometres away, and become a global destination. It would also have hiking trails, various recreational activities, and a resort at its base. 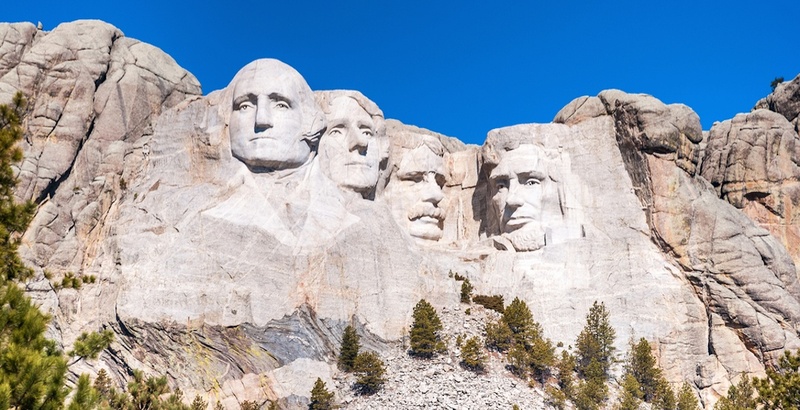 He likens his idea to the draw that Mount Rushmore receives as it sees 3 million visits per year. The idea of deconstructing a mountain has been criticized and mocked on social media over the last few days, but that has not deterred Throness. “When an idea like this is put out, it’s greeted with condemnation. But then I think curiosity follows and then I think serious consideration could be given to something like this,” he said. He says the impact would be minimal as only one mountain peak would be cut down, and it would not be that high of a peak as it would still have to be accessible for construction crews and visitors. Even if such a project were approved in BC, it would likely take decades to complete. For instance, the intricate process of carefully sculpting Mount Rushmore occurred from 1927 to 1941. 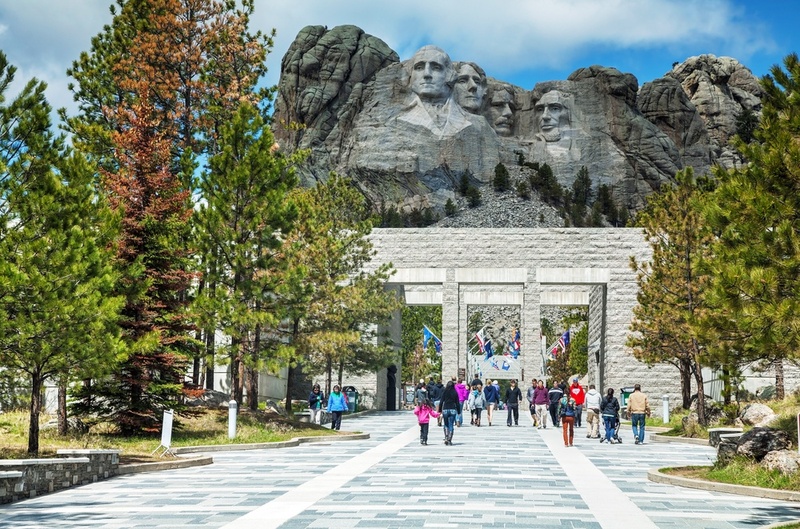 Mount Rushmore’s presidential heads are carved 500 ft up on the side of the mountain. Each face is 60 feet high, with the eyes alone measuring 10 ft, and the width of the entire four-head sculpture stretching across 400 feet. 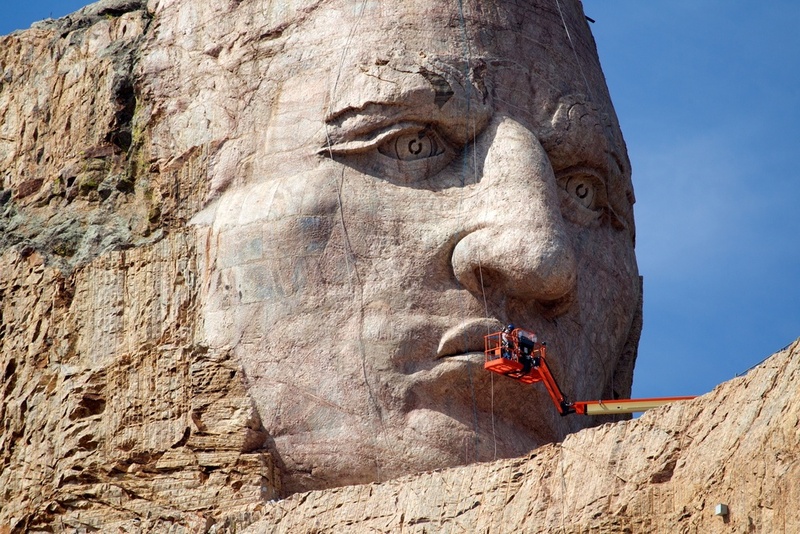 In contrast, construction on the Crazy Horse Memorial, a Native American monument, began in 1948, however only a small fraction of the 641-ft-long, 563-ft-high design has been complete. Crazy Horse’s 88-ft-tall face was only completed in 1998, and the monument is still missing its outstretched human arm and horse.